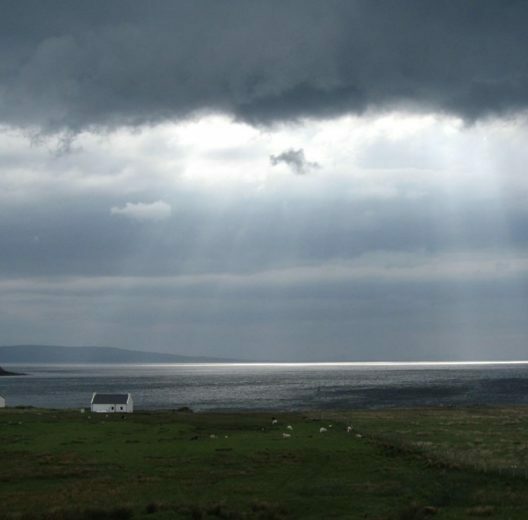 Croft 29 is a real croft on Skye, on the Trotternish peninsula, and is home to Stephen and Rachel Varwell and their family. 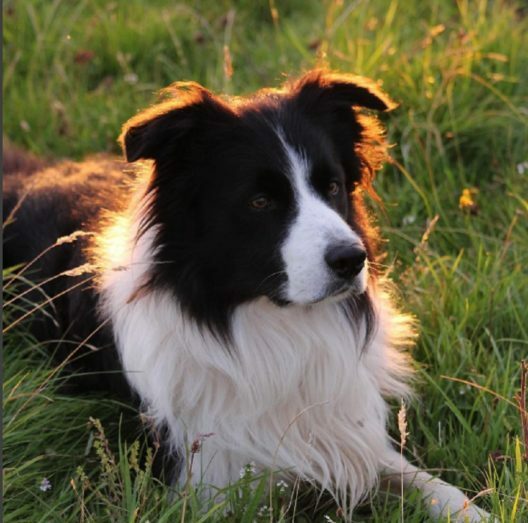 They’ve been running the croft for 12 years and, as well as a small flock of Hebridean sheep, they keep a few Dexter cows (Bodan and Freya) and also their (extremely photogenic) sheepdog, Mac. 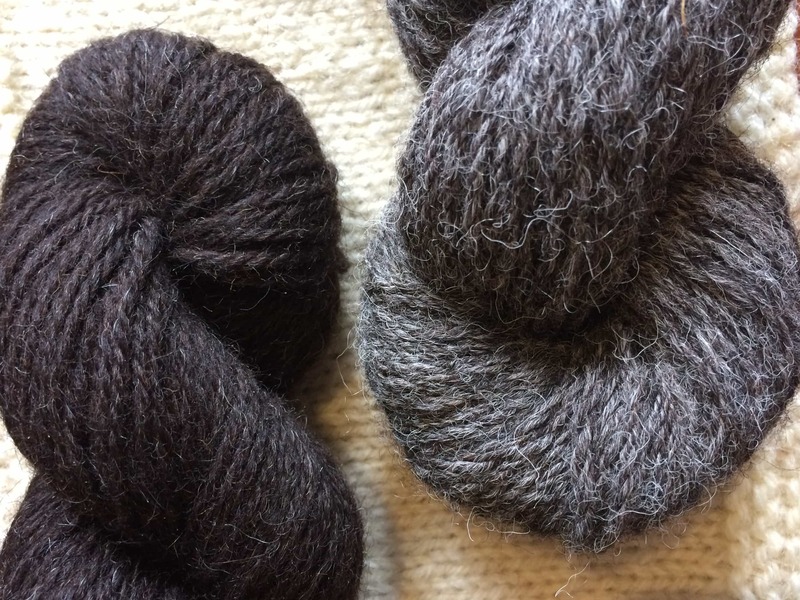 It’s been just over a year since the Varwell’s launched their Hebridean yarn; the wool – handshorn on the croft – is spun under the expertise of the Natural Fibre Company into a plump aran yarn. I wanted to ask Stephen and Rachel why they took the decision to create their own yarn. Those resources make a stunning yarn and you will be able to hear me review it in the next podcast episode, out on Friday. What was most interesting to me was that it’s unlike a lot of Hebridean wool I’d knit with in the past; the natural colour is lighter, more caramelly, and the yarn much smoother. Of course, we should never expect homogeneity across fleece or yarn from the same breed, but to me this looked like a lot of thought had gone into getting the best of the fleece for a quality hand-knitting yarn. I think this is something that Stephen and Rachel are particularly proud of and it really does set their yarn apart. 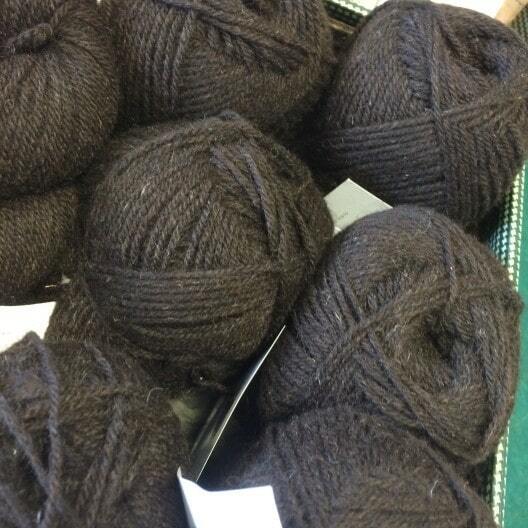 “We do carefully select the fleeces that we use to make our yarn – Hebridean sheep get greyer as they get older (bit like ourselves) and so we use the youngest sheep to make the yarn – that’s what gives it the dark black-brown colour. We deliberately keep the lambs over the first winter so that we can shear them for the first time at 15 months old, for their wool. Something I am always keen to highlight is that the people making the biggest steps in British wool are working from their kitchen tables. 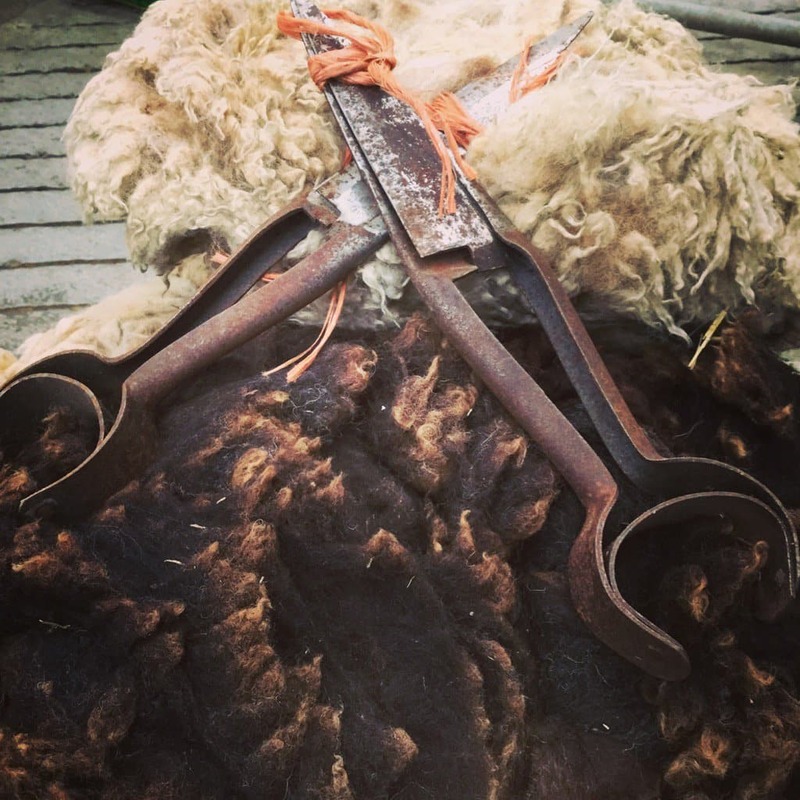 Their knowledge of the wool, having worked with it at a grassroots level, teamed with an understanding of the value we hand-crafters place on that wool is really unique. “We feel that one of the main selling points for Croft 29 is the provenance of our yarn, and the fact that it all comes from the same place, from the same flock, and can be identified as a ‘made in Skye’ product. We can show the provenance of our wool from the sheep in the field, to the ball of yarn – people really appreciate that they don’t just get a beautiful ball of wool, but the story that goes with it, and can perhaps feel a part of that story/process. Social media has been a great platform from which to get feedback, and for us to get our story ‘out there’. 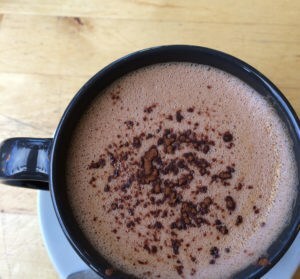 “We’re relatively new to Instagram (and indeed social media), and so perhaps hadn’t fully appreciated how much of a tool or platform is could be for getting the word out there, and getting people interested in our product. “I guess that, perhaps initially, we didn’t think that our story was particularly special, and didn’t think anyone would be that interested in what we thought of just as ‘day to day life’. 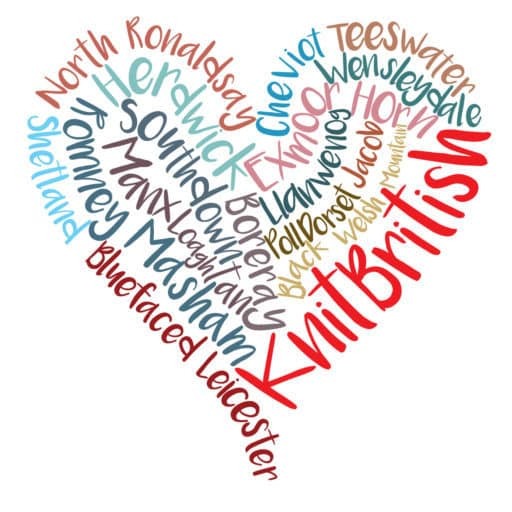 Those of us who buy British wool love a label stating the breed and provenance, but we also love the story behind the wool and that can really make purchasing decisions for us. This is definitely what is special about Croft 29, anyone who follows them on social media can attest to that. Images of the day-to-day work on the croft are stunning, as you can see from the images used in today’s post, which are all kindly reproduced from their Instagram. A year in and Stephen and Rachel have just taken delivery of the latest clip spun up into yarn and will be selling that via their Etsy shop. This year they’ve had the wool spun into skeins and they hope to also vend at some of the agricultural shows and sales this year too. I had the pleasure (albeit briefly) to meet the couple at Edinburgh Yarn Festival and they were really inspired by the event and hope to vend on a bigger scale in the future. In the meantime, life on the croft goes on. 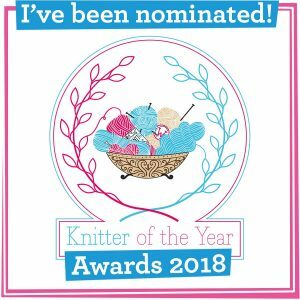 I often get asked by small holders about starting their own yarn as a sideline business and I reply that it is definitely an undertaking that can require as much hard work as your day job. I asked Stephen if he had any advice for like-minded folk, who were also thinking about creating yarn and wool products from their own sheep. As Stephen says here, it is important to think about the bigger picture. 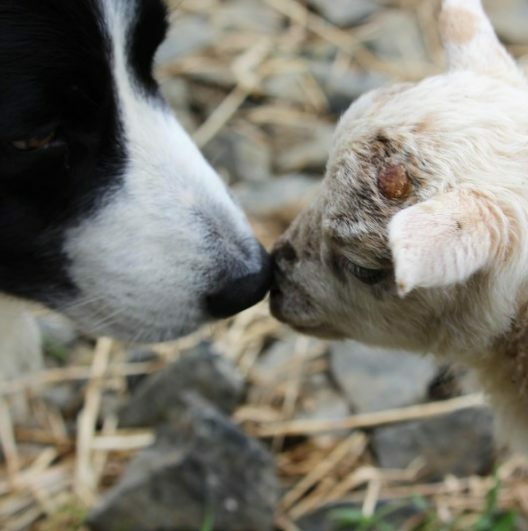 “As with all things on a croft or smallholding, it’s been a learning process for us and you need such a diverse ‘skill set’ – you need to know and understand stock and land management, as well as having an eye for business, and customer service. I think I would say to any smallholder – do what you are interested in, and have a passion for. Thanks so much to the Varwells! Tune into Friday’s episode to hear all about the yarn! You can find Croft 29 Hebridean Yarn on sale in their etsy shop www.etsy.com/shop/Croft29 or with selected stockists such as Fluph. Yarn prices start at £6.00 for 50g ball, but you can expect to see more hanks in the next clip! All images used here are (c) Croft 29 / Steven & Rachel Varwell. Images are used with kind permission and many thanks to them. All images (apart from the balls in the suitcase one, that’s mine) can be seen in the Croft 29 instagram stream. Please follow them at @Croft_29, if you wish to see more of their wonderful images. Please do not reproduce images without express permission of the copyright holders. Your interviews are always so nice, mixing chatty with questions I think everyone who listens to the podcast want to know too…..I defintely plan to buy some of the Croft 29 yarn this year and can’t wait to hear friday’s podcast. Wonderful interview and story of Croft29. Looking forward to the pod cast on Friday. Great interview and I’m looking forward to hearing more about the yarn on Friday. Previous Postepisode 80 – Why don’t you…? Couldn’t you just…? You should…!